I’ve bought some photo gear lately – mostly from Australian retailers. I am always amazed about how unsatisfying the experience is for high value items. Retailers always remind me that the price includes ‘Australian warranty’ and ‘Australian GST’. By law in Australia these things must be included in the price quoted, so emphasising these factors is redundant. I guess that retailers are sensitive to competing with (overeas) online vendors, but in many respects the lack of expertise offered and the references actually drives me towards online purchase. Especially when I buy a lens and the standard upsell attempt of a filter is the best value add offered – even more so when the particular lens doesn’t have a filter mount. I wonder why there aren’t photo retailers that better emphasise the photo experience, and treat the whole thing more like Apple does with their retail operations. Wishing everyone all the best for a safe, happy and successful 2015. Today is New Years Eve, and the world’s eyes are on Sydney Harbour as one of the major focal points for seeing in the New Year. 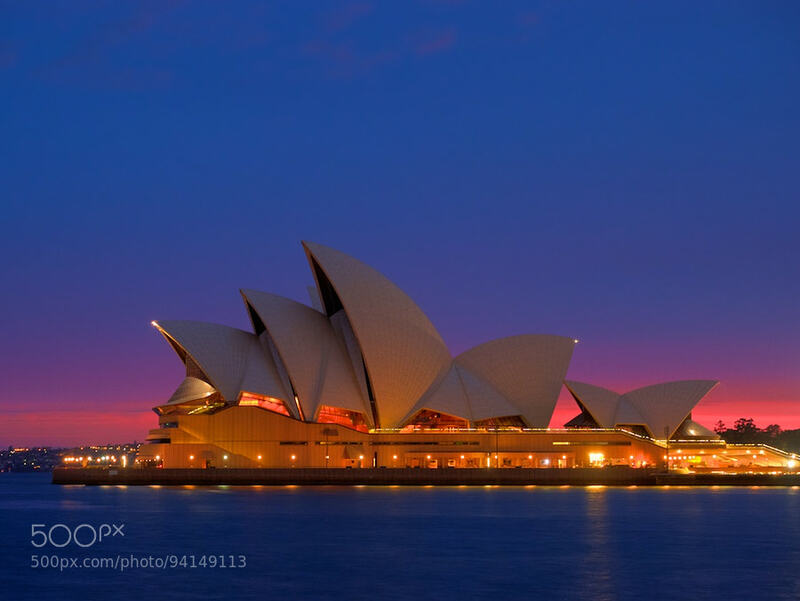 This image of the Sydney Opera House, one of Harbour’s iconic landmarks, was made at sunrise a week ago, and I think it beautifully captures the dramatic air of this unique building. As we move into 2015 I look forward to taking in as many sunrises and sunsets as I can!